Tallahassee–Florida Senate President-Designate Joe Negron (R-Stuart) visited Florida Polytechnic University as part of his 4-day listening tour of the State University System of Florida. 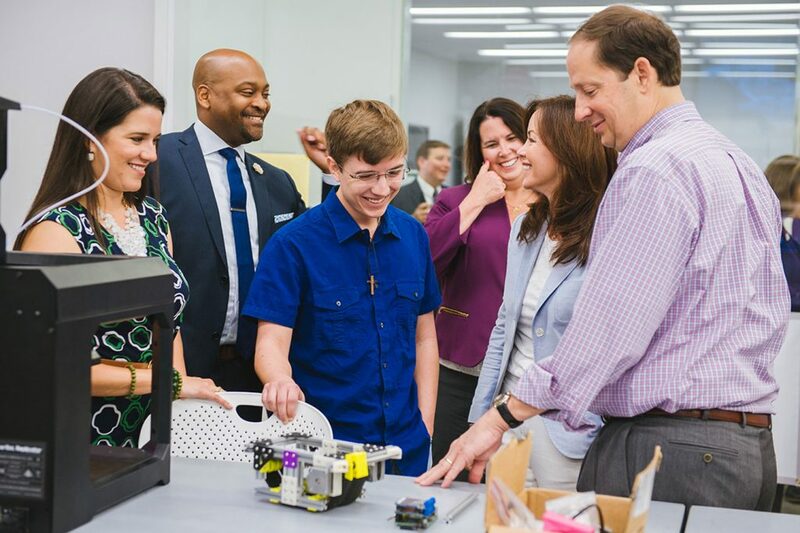 Senator Negron requested a tour of the University’s iconic Innovation, Science and Technology Building and asked to hear from students, faculty and administrators about the University’s strategic plan and top priorities. Senators Lizbeth Benacquisto (R-Ft. Myers) and Anitere Flores (R-Miami), Oscar Braynon (D-Miami), Kelli Stargel (R-Lakeland) and Wilton Simpson (R-Trilby) joined Senator Negron on his visit to Florida Poly. During their tour of the IST Building, the group experienced Florida Poly’s state-of-the-art innovation labs and its all-digital library. They also attended a Biology Integrated Outlook (BIO) expo where students presented research projects that combined general studies in biology with studies in their core STEM concentrations. 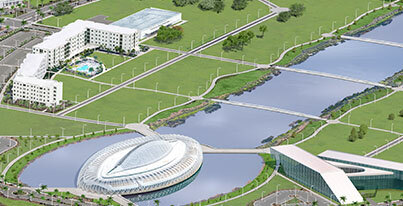 Florida Poly’s curriculum features six undergraduate degree programs with 19 cutting-edge concentrations in fields like machine intelligence, cyber security, nanotechnology and cloud computing. The final portion of the visit included an open dialogue with students, senior faculty and administrators, in which the President-Designate heard about the University’s top priorities going into the 2016-17 academic year. Those priorities include completion of funding the Applied Research Center, for which the University received initial funding in the 2016 legislative session. Other priorities are funding to build a convocation center, administration building and funding to hire additional STEM faculty.